When a New Jersey driver is arrested and charged with driving while intoxicated (DWI), many things will go through his or her mind. In addition with the realization that they are going to face charges for DWI and the requisite penalties, there are significant financial implications to a DWI conviction. Because of that, many might think that it is preferable to not hire a qualified attorney who is experienced and knowledgeable when it comes to DWI cases and handle the case themselves. Even if the person has some basic understanding of the legal process or is even an attorney focusing on another aspect of law, it is invariably a mistake. Following are reasons why it is an error to represent oneself in a DWI case. While it might appear to be a method of saving money to function as one’s own attorney in a DWI case, the fact is that it could end up costing much more money than it would have to simply hire a qualified attorney. A layman who decides to take on a DWI case won’t understand how to sift through the evidence, deal with the prosecutor, address the judge or do any of the other things that a lawyer does and isn’t shown on televised legal dramas. If there are reasons why the evidence in the case might not be valid and could be utilized to have the charges dropped, a prosecutor will know that an experienced attorney is likely to latch onto them and use them to get the client acquitted. For example, if the police officer stopped the driver without sufficient cause, that could render all the evidence accumulated after the traffic stop as inadmissible. A breathalyzer machine that is not functioning correctly or an officer not certified to give the test is also a violation of the driver’s rights. If you were forced to provide a urine test and the sample wasn’t properly handled, it could lead to false results and therefore not be admissable against you. A good lawyer will know what to look for and how best to protect your legal rights. The self-representing driver is unlikely to know how to handle these issues. Even if he or she is aware, they are not going to know the procedures to having the charges dismissed for these infractions. You may save a few dollars representing yourself but in the end you can lose thousands in court fees & penalties no to mention your right to drive. In New Jersey, it is very difficult to defend against DWI charges even with a qualified lawyer. Because DWI is a traffic offense and not a criminal offense, it might not be seen as serious. Prosecutors try to get these cases done quickly and unless there was one of the aforementioned mistakes made by the officer, in general, there will be a conviction. Drivers who are convicted will be confronted with a variety of penalties depending on the level of alcohol they had in their system via the breathalyzer test. For example, with a blood alcohol content (BAC) of 0.08% to less than 0.10% the driver will have a the driver’s license suspended for three months. There will be fines, fees, surcharges and possibly even jail time. Drivers are wise to try and avoid the conviction if at all possible and if there is the chance that an attorney will be able to secure an acquittal, the belief that the charges will be easy to defend are a costly, long-term mistake. A real courtroom is not like television. The prosecutor will take advantage of an inexperienced person lodging a defense and the judge is not likely to be patient with an amateur in his or her courtroom trying to play lawyer. Representing oneself in a DWI case can lead to losing the case, taking a plea agreement that didn’t need to be taken, or pleading guilty when there was the chance to to win an acquittal. With an experienced lawyer, there’s the opportunity to have the charges reduced or to win an acquittal entirely. The cost of an attorney might seem daunting when it is combined with the prospect of a lost driver’s license, fines, jail time and surcharges. When looking at it objectively, however, the clean record and maintaining driving privileges is worth much more than the money that a self-representing driver would save for a losing cause. A DWI lawyer will know how to examine the evidence, handle all the paperwork, deal with the prosecutors and the judge and overall make your life easier even if there is a conviction. Saving money has its place, but not when you’re facing a costly traffic offense such as DWI. This is why it is always advisable to hire a qualified attorney in lieu of representing oneself and possibly making the situation for worse and costly. 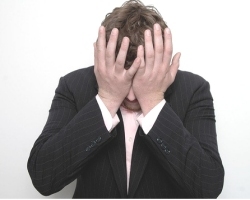 Facing DUI charges or test refusal charges can be a very stressful and emotional time. Whatever you do, you do not want to make things worse. 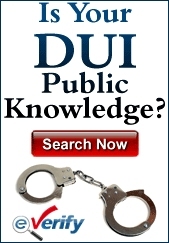 Your DWI case will not be helped with legal advice from untrained amateurs. The penalties are too high to take changes. Learn as much as possible and then hire the right lawyer for your personal case who will know all the important things that you didn't even know was critical to your case. The police and prosecution are not on your side. Your friends may be nice people but you need the best legal expert with DWI experience.